This genus is accepted, and its native range is America, Medit. to Tanzania. Leaves usually digitately 5–11(17)-foliolate, elsewhere sometimes 1–3-foliolate; stipules adnate to the base of the petiole. Flowers usually numerous in terminal and leaf-opposed racemes, alternate to verticillate; bracteoles often attached to the calyx. Calyx deeply 2-lipped; upper lobes separate to largely joined; lower lip entire to shortly 3-toothed. Corolla variously coloured, often variegated; standard with a short claw and broad blade, the sides of which are often partially reflexed at anthesis; wings broad, generally enveloping the keel and often marginally adherent; keel beaked. Stamens all joined in a closed tube; anthers alternately long and short. Ovary usually sessile, 2–many-ovulate; style incurved, glabrous except often for a ring of hairs below the terminal stigma. Pod laterally flattened to varying degrees, often constricted between the seeds, dehiscent. Seeds prolate, with the small hilum on a short side, the radicular side nearly straight to concave, the opposing side rounded and often bulging below the hilum, the radicular lobe small and receding. Seeds generally orbicular-rectangular to oblong-elliptic, more rounded on the chalaza side, with a prominent radicular lobe and a small sunken hilum; rim-aril inconspicuous. Bisby (1981: 409–425) divided the Genisteae into subtribes Genistinae and Lupininae, a principal division taking both morphological and chemical evidence into account. 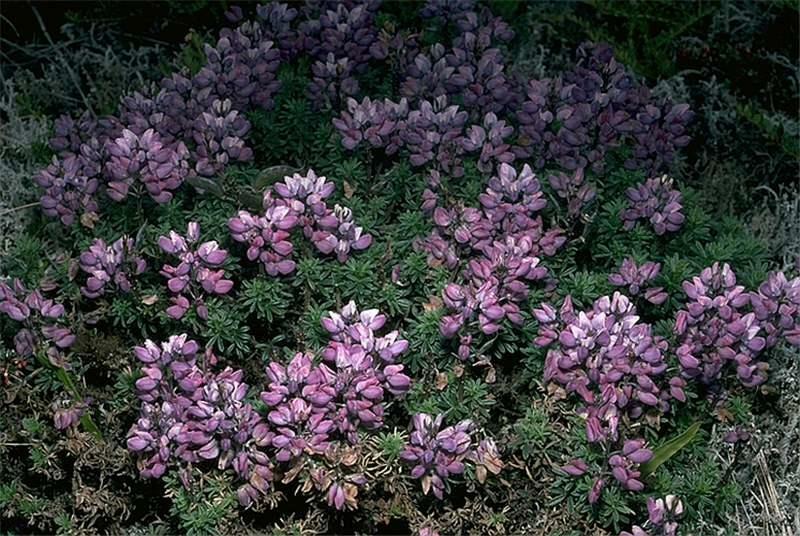 Polhill (1976) drew attention to the similarities between woody Thermopsideae (Anagyris and allies) and the main part of Genisteae, and between the herbaceous genera of that tribe, Baptisia and Thermopsis, and Lupinus. Crisp et al. (2000) emphasise the lability of staminal fusion in genistoid tribes as a whole, and it might be supposed that the free-stamened Thermopsideae would be better included in Genisteae. In recent molecular analyses (Käss & Wink, 1997; Crisp et al., 2000; Wink & Mohamed, 2003; Wojciechowski et al., 2004), however, all Thermopsideae grouped with Sophora and close allies, and Lupinus was relatively basally branching in Genisteae, above the southern African genera Melolobium and Dichilus (previously placed in Crotalarieae). 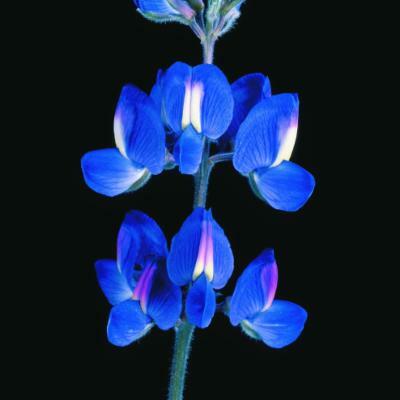 The similarities between Baptisia, Thermopsis and Lupinus are likely due to strong ecological convergence in temperate habitats. The Genisteae forms part of a monophyletic clade, the ‘core genistoids’ which also includes Crotalarieae, Podalyrieae, Thermopsideae, Brongniartieae, Euchresteae and Sophoreae sens. strict. (Crisp et al., 2000; Pennington et al., 2000a; Kajita et al., 2001). Genisteae appears to be sister to the Crotalarieae and both are sister to the Podalyrieae (Crisp et al., 2000; Wojciechowski et al., 2004). There is now convincing evidence that Melolobium, Dichilus, Argyrolobium and Polhillia (the Argyrolobium clade of Van Wyk & Schutte, 1995a), together with Anarthrophyllum (and probably Sellocharis), are part of Genisteae and that the similarities with the Crotalarieae (the remarkable parallels between Dichilus and Lebeckia for example) are superficial only (e.g., Wink & Mohamed, 2003; Wojciechowski et al., 2004). Crisp et al. (2000) suggested that this group of genera may be sister to Crotalarieae but their analysis did not include critical genera such as Adenocarpus and Lupinus. Less emphasis is now given to stamen fusion, and these genera have been formally transferred to Genisteae based on the shared presence of a trifid lower lip of the calyx and the distinctive quinolizidine alkaloids of the a-pyridone type (Van Wyk & Verdoorn, 1990; Van Wyk & Schutte, 1995a; Wink & Mohamed, 2003). Van Wyk et al. (1989) suggest that Spartidium, currently in the Crotalarieae, may be better placed in Genisteae. 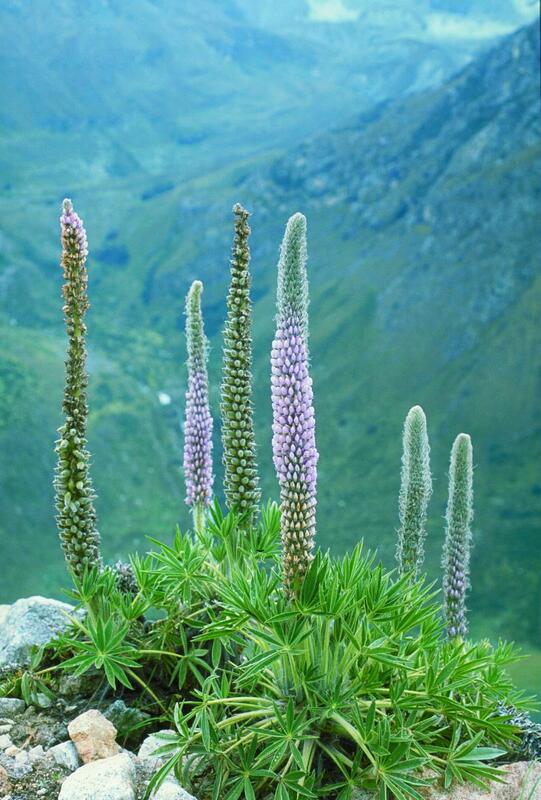 Lupinus albescens Hook. & Arn. Lupinus andicola Gillies ex Hook. & Arn. Lupinus andinus Rose ex J.F.Macbr. 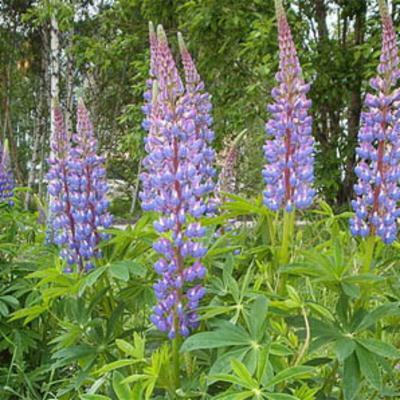 Lupinus arbustus Douglas ex Lindl. Lupinus aureonitens Gillies ex Hook. & Arn. Lupinus bolivianus Rusby ex C.P.Sm. 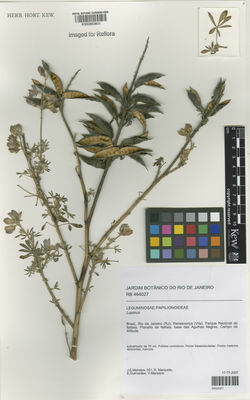 Lupinus ccorilazensis Vargas ex C.P.Sm. Lupinus chachas Ochoa ex C.P.Sm. 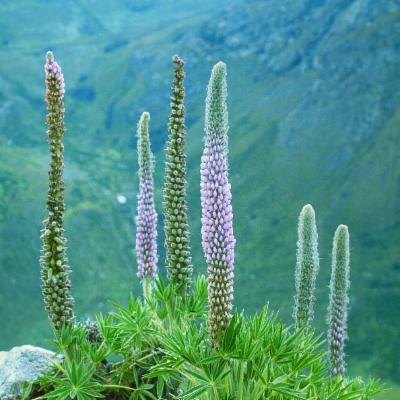 Lupinus comptus Mart. ex Benth. Lupinus crotalarioides Mart. ex Benth. Lupinus fieldii Rose ex J.F.Macbr. Lupinus huigrensis Rose ex C.P.Sm. 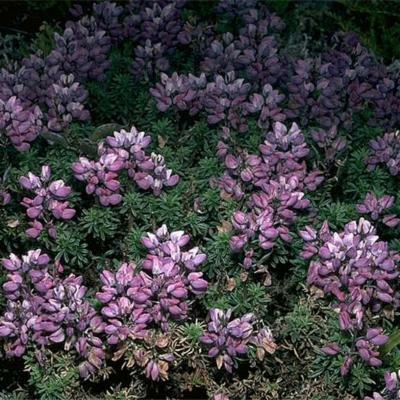 Lupinus jahnii Rose ex Pittier & C.P.Sm. 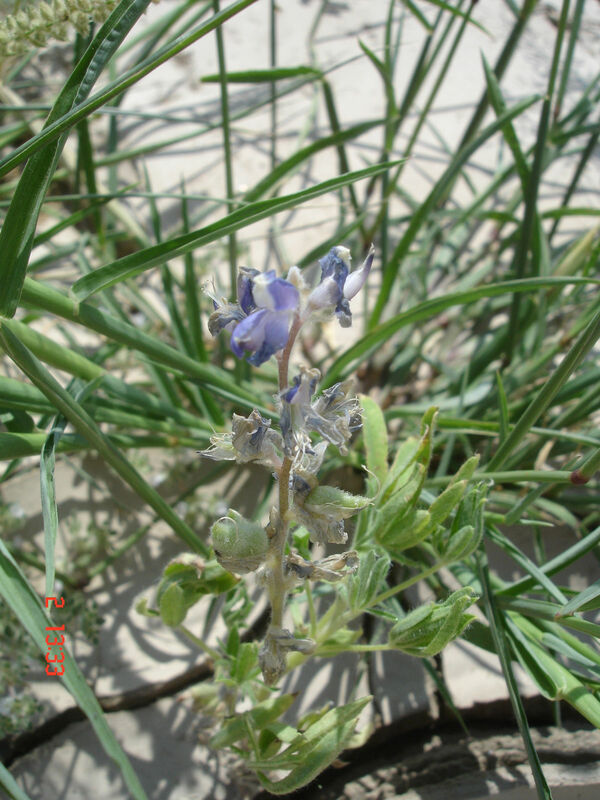 Lupinus leptophyllus Schltdl. & Cham. Lupinus leucophyllus Douglas ex Lindl. Lupinus littoralis Douglas ex Lindl. 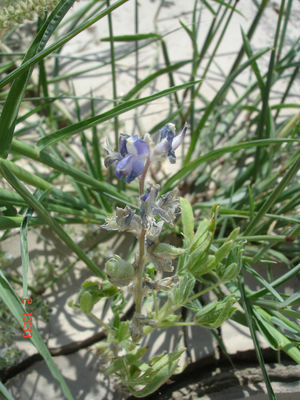 Lupinus mexicanus Cerv. ex Lag. Lupinus ornatus Douglas ex Lindl. Lupinus paraguariensis Chodat & Hassl. Lupinus rivularis Douglas ex Lindl. Lupinus sabinianus Douglas ex Lindl. Lupinus semperflorens Hartw. ex Benth. 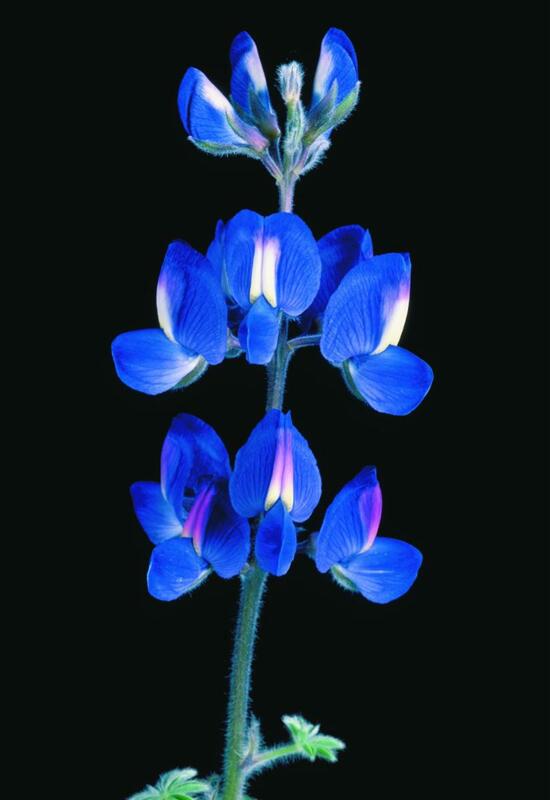 Lupinus sierrae-blancae Wooton & Standl. 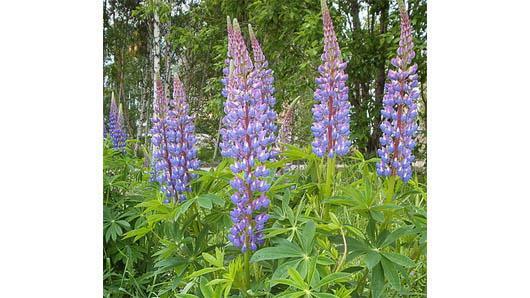 Lupinus soukupianus C.P.Sm. ex J.F.Macbr. Lupinus truncatus Nutt. ex Hook. & Arn. Gen. Pl., ed. 5: 322 (1754).